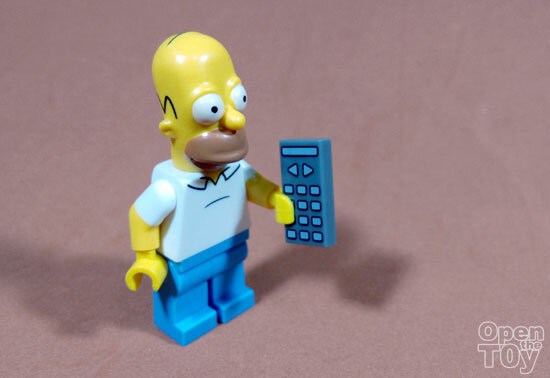 This week will be a week I dedicated to a long running animated series The Simpsons and they are recently out in the LEGO blind pack series. 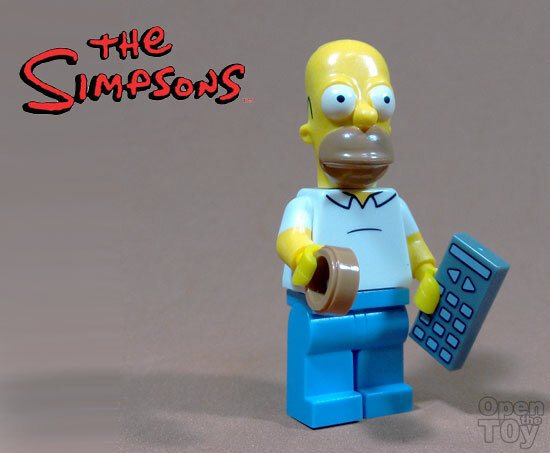 First of would be the head of the Simpsons, Homer Simpson. Honer Simpsons is a loveable character which do not mean he is a good role model. In fact he shows various flaws on his attitude, intelligence and always seems to make wrong decision in life. He was more of a simple man who is not serious with his work (working in a Nuclear power plant) and like to hang out in bar drinking beer with his buddies. 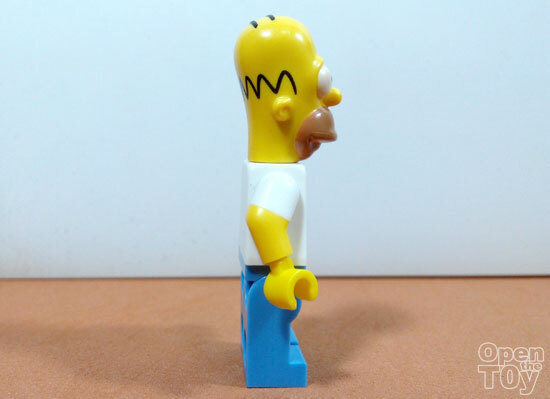 The LEGO did capture the bald head, round big eyes and long face. Not to mention his signature white top and blue pants. The only thing that LEGO failed to do was to capture his beer belly. 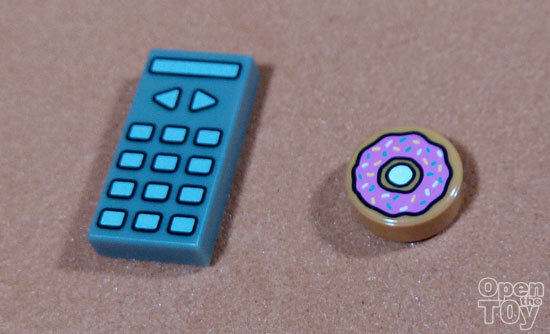 LEGO gave him a remote controller since he was very much a couch potato at his home and his favorite Donuts! 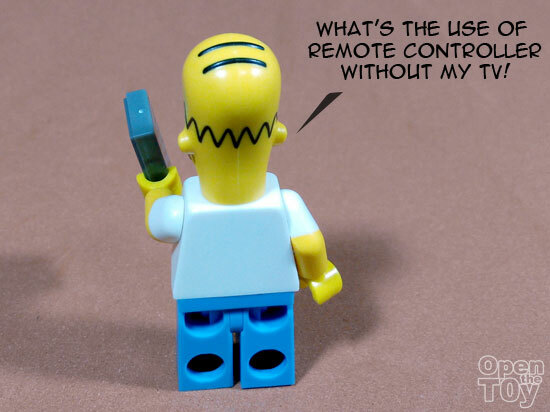 The remote controller fit to his hand perfectly. As the head of the household, he deserved the right to hold the TV controller as the rest of the family will have to watch whatever he is watching. Homer has a nature to complain and being opinionated in almost everything. However his memory was rather short lived when he is simulated by food. 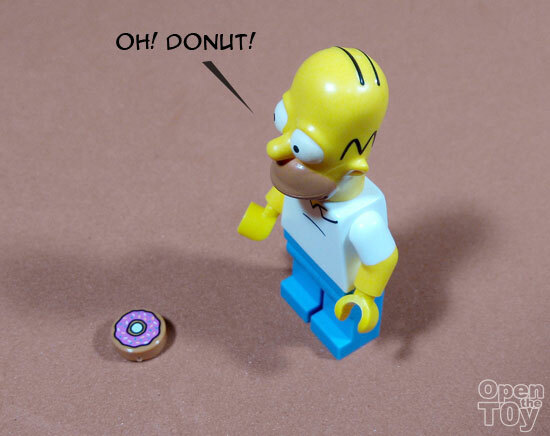 One of it, Donuts... For food, he will ask no question of where it came from and where it has been. He just want to take that and stuff into his stomach. Including the Donuts found on the floor. They say the simple mind always having a happier life and I have to say that is so true for Homer Simpsons. He don't worry much but he do feel life is unfair sometime to him. But for now, holding a Donuts in his hand mean a happy day for him. 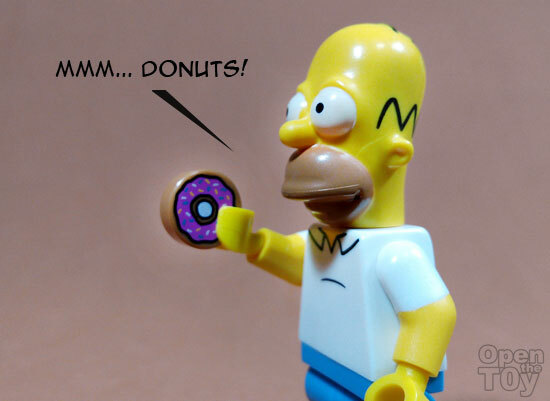 Homer is one of my favorite character in the Simpsons, what about you?